On the weekend of February 26-27, 2016, the Moores School of Music will welcome some of the finest jazz ensembles, educators, and performers from around the country to Houston. The two-day event is packed with school performances, masterclasses, and special concerts by visiting artists alongside the Moores School Jazz Orchestra and Ensemble. 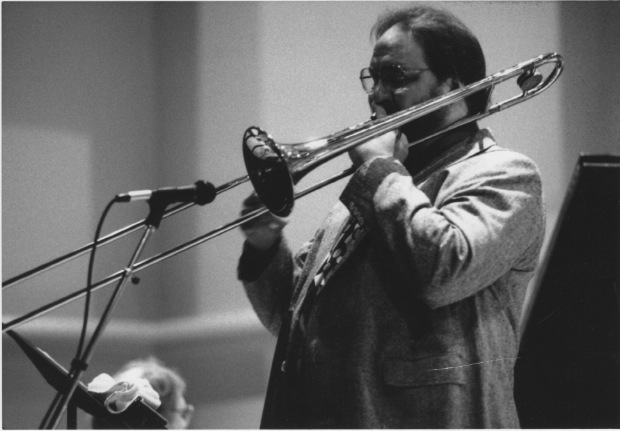 Guest Artist Paul Mckee (trombone) will present two FREE clinics at noon each day. He will also appear in concert on Saturday, February 27 at 7:30 PM alongside the Moores School Jazz Orchestra. Local Houston Jazz Artists will join the Moores School Jazz Ensemble on Friday, February 26 at 7:30 PM for a concert as well. Due to the University of Houston being chosen as a debate spot for the Republican Party during the weekend of February 26-27, the Moores School Jazz Festival will take place in downtown Houston at the Hobby Center for the Performing Arts (Zilka Hall). The festival will function as normal in this new location for the year, and more information will be communicated about details closer to the event. Thank you for your patience and understanding as we continue to host the festival in addition to other events on our campus. Please follow the link below to preliminary registration for the 2016 MSM Jazz Festival. Upon receipt of this information, we will communicate with you regarding payment, performance and festival details, and any other questions you may have. We look forward to seeing you in February!